This was our entry into the NASA Space Challenge. 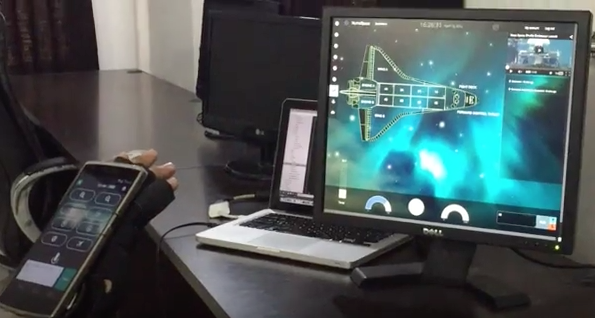 This app allowed you to convert your phone into a gesture controlled glove. Along with it, you could use voice commands to manage spaceship, lighting, speed as well as handle emergency situations. See the video for more demo here.